My daughter is a huge crafter – just like her Momma. So for our next crafting day, I created these free printable unicorn masks and wanted to share them with you too! There’s two versions. One has cute bangs and the other set has flowers on her head. 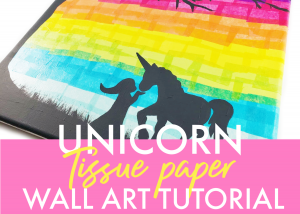 Any and all unicorn lovers will absolutely LOVE these fun craft activities! Let’s get started – click to get your desired unicorn template and print. Next gather up the supplies you’ll need for your unicorn party mask. Click and print both of your free unicorn mask templates on white card stock paper. Then follow the directions below on how to create her! First, cut and then trace the flowers or bangs on your favorite card stock paper colors. And then trace your unicorn’s horn on yellow glitter foam sheets. After that, simply cut them out. For the eyes, use an x-acto knife so it is cut out with a nice even line. Then glue your unicorn horn on in the center. While your unicorn’s horn is drying, glue the circle inserts into your flower and glue the pink part of your unicorn’s ear to the white. Then, glue all the pieces to your unicorn face mask. She’s just about done. EEK! Finally, add the elastic bands. 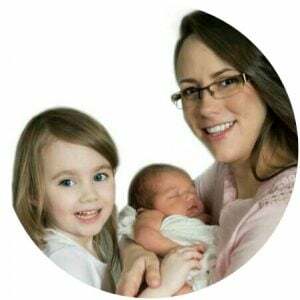 Every child’s face is shaped differently, so measure where you’d like the holes to go and then poke the elastic bands through. 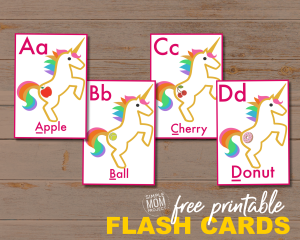 To print your unicorn templates, click on links below and print. These coloring pages are great for big and little kids, girls and boys! Simply print it off, color it, add some elastic bands and viola! These are so much fun to do at birthday parties and we plan to use them for my daughter’s next party! How did your unicorn face mask come out? Be sure to share your unique creation on our Facebook Page and follow us on Pinterest for more crafting creations!